Compact versatile Ram II for small/medium throughputs. The heavy duty Compact Ram II series of balers are available with throughputs from 4-8 Tonnes/hour on OCC. The LT 70-22 Compact Ram II is the smallest machine in the Compact Ram II range of machines. With a main hydraulic motor of 22kW and a small footprint, the machine is ideal for applications with limited space and power supply. With a main ram cylinder having a capacity of 85Tonnes pressing force, the machine is able to produce bales of OCC up to 635kg. 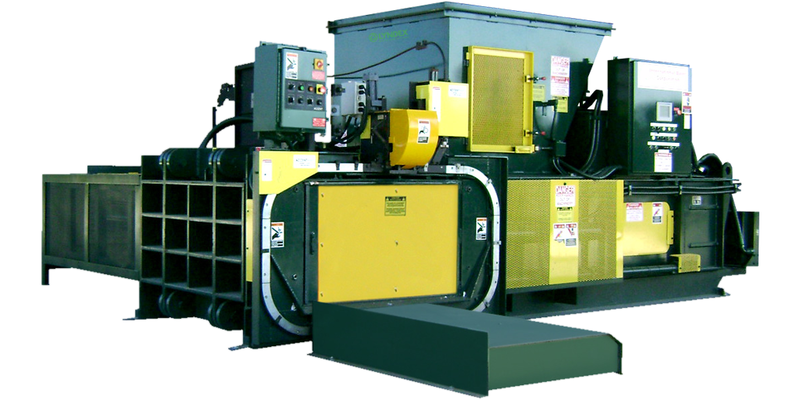 With a main ram cylinder having a capacity of 125Tonnes pressinf force and a power unit of 1x55kW or 2x37kW, the machine has the capacity to produce high density bales with a throughput of up to 7.5Tonnes/hour.